Do you have a need for debt collection services? Is your debtor based or does your debtor live in the Netherlands? Omnicas has over 25 years of experience in collecting debts. In this section you’ll find information about our debt collection services in English. We are offering you our professional debt collection services in the Netherlands. We have been collecting debts for over 25 years. Our strengths are efficiency, experience and persistency. 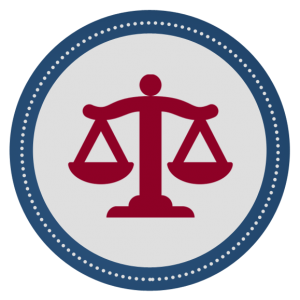 We have our own legal department so legal advice as well as legal collection is available whenever needed. To begin the collection, we only need a copy of the original invoice or other material where the debt is stated. You can deliver the necessary material to us very easily by e-mail, fax or regular mail. We begin with the collection procedures immediately. We always start our collection by sending a letter to the debtor, in which we inform the debtor we are collecting the debt on your behalf. Our experts will organise and take care of the collection from the beginning to the end! From sending dunning letters, requesting a judicial decision to following up the execution of the sentence. We will take care of the collection during the out of court procedure with our own risk and at our own cost. When we succeed we are entitled for our reward in the form of commission. We do report about the progress of the collection regularly, so you can easily keep up with the collection. Hence, if your debtor is based or lives in the Netherlands, do not hesitate to contact debt collection Netherlands! Omnicas debt collection Netherlands tries to collect the debt through friendly contacts and negotiations. To achieve this, Omnicas contacts the debtor directly, demanding, on the client’s behalf, full payment of the amount owed, including interests. These services include the necessary preparation of all writting agreements and contracts and the effective recovery of the debt owed. The fees for this service are charged purely on a success bases (no collection no fee basis) applicable to the effectively collected debt amount, therefore incentivizing a favorable end-result. We deduct the commission from the collected amount when we deposit the collected amount in to your account. If the debtor has made the payment directly to you, we will invoice the commission. When the out of court collection has not succeeded for example due to an indigent debtor, we shall not invoice you anything. In addition we suffer the costs of collection as a loss ourselves. If the extrajudicial collection is not successful, we can offer legal collection. This option represents the initiation of legal proceedings against the debtor, in the Netherlands demanding full payment of the amount owed, including interests. 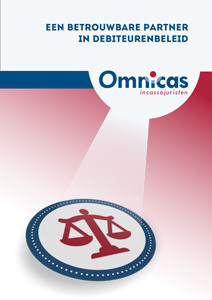 Omnicas debt collection Netherlands advises the client on the convenience of whether to initiate the appropriate legal proceedings, although leaving the client with the final decision, and keeping at all moments the client informed of any developments during the proceeding. We will charge a provision of funds which covers all the legal proceedings until judgment and enforcement of the judgment. If success is achieved and debtor pays the outstanding amount, the provision of funds will be returned. If no success is achieved, the provision of funds will not be returned. If you cancel the collection partially or totally, or if the collection assignment has been groundless, we shall invoice the commission calculated from the whole amount of debt.